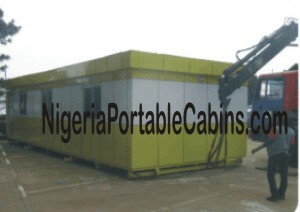 Prefab metal buildings are gaining in popularity in Nigeria and worldwide. The majority of people in Nigeria and worldwide are just beginning to realize the full significance of using prefab metal buildings and how using prefab buildings can significantly save time and money on just about any building project. The good news is . . . we are a manufactured home construction company specializing in metal buildings construction, mobile home construction, modular home construction, and all forms of steel building construction. This section gives readers and potential customers an insight into our prefab metal building business and shows them how our prefab steel buildings can work for them. Prefab buildings come in various shapes and sizes depending on the purpose for which the building is to be used. For example, prefab cabins have defined maximum sizes because of the need to transport them on the road. And there is a maximum width and length you can transport on the road. The size limitation on prefab cabins also tend to limit the size and number of rooms and utilities you can have per cabin. However, prefab metal buildings are not limited to just transportable prefabricated portable cabins. In fact, prefab steel buildings have a wide variety of uses and this makes them versatile and suitable for just about any kind of building. For example, prefab vacation homes can either be as small as a 6m by 3m or 12m by 3m cabin or a full-fledge house like traditional 2, 3, or 4 bedrooms bungalows common in virtually every city in Nigeria. Prefab steel buildings are not merely for ground floor apartment buildings or bungalow buildings either. Prefab housing can be constructed as single family small prefab homes or big family buildings. They can also be constructed as . . .
Want small prefab homes or small mobile homes? You will get just that. Want a prefab duplex or prefab luxury homes? You will get just that too. You get to choose just what you want and we deliver just what you want. Yes, we manufacture and sell custom built modular homes and custom built prefab homes. Tell us what you want and we will build it to your specifications. Prefabricated Buildings - More Than Just Homes! You have probably noticed that we talk a lot about prefab portable homes on this site. Some readers may begin to get the impression that prefab buildings are all about prefab homes. As we have discussed elsewhere on this site, prefabricated buildings can be used as . . .
Prefab steel buildings can also be used for . . . There is virtually no limit to what you can use prefab metal buildings for. Whatever the kind of building you wish to build and for whatever the purpose, simply . . .
We will deliver to your specifications. We build modern prefab homes and office accommodations at pocket-friendly prices. Want low cost prefab homes?